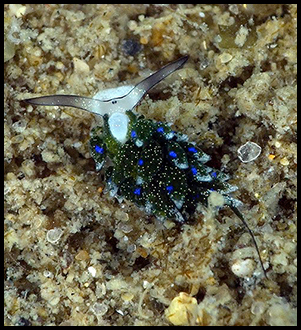 When searching the substrate for nudibranchs there comes a time when your eyes stop and your mind does a little backflip. 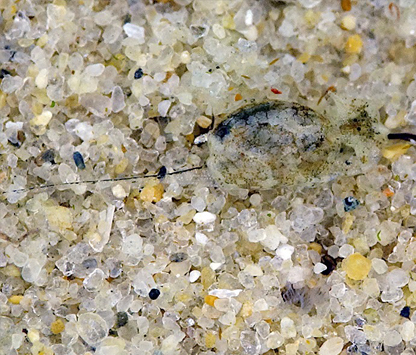 In this instance finding 2 Bornella anguilla in the Mooloolah River was one of those moments! 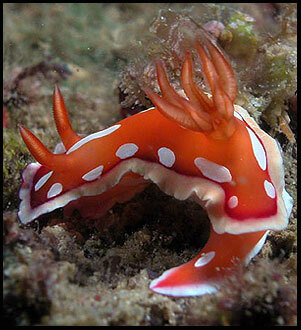 This species is a strong swimmer. 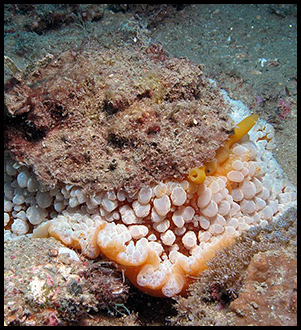 It is characterised by its brown body covered in vivid cream and orange coloured spots. 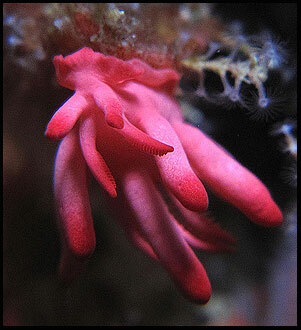 Along the the top edge of the dorsum are finger-like processes that contain feathery gills. 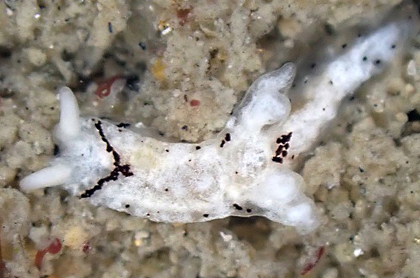 The rhinophores protrude out of long stalks that have papillae around the base of them. There are two interesting colour-forms, light and dark. Photo and text by Gary Cobb, Mooloolah River, La Balsa Park, Sunshine Coast, Queensland, Australia. 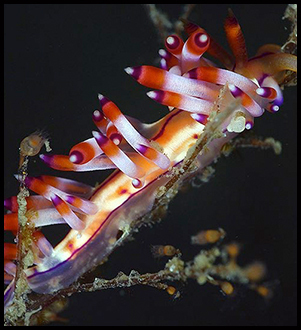 LOCATE, RECORD, IDENTIFY and POST every species of HETEROBRANCH to be found on the Sunshine Coast Queensland, Australia. 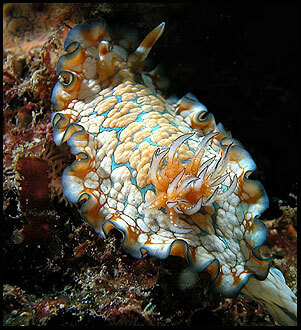 To LOCATE through scuba diving and intertidal searching. 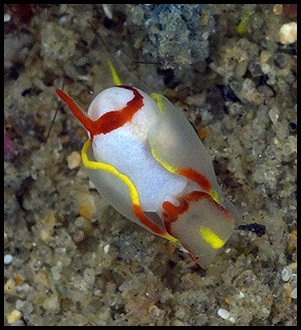 To RECORD by underwater and studio/taxonomic photography (including microscopy photography) of the specimens. 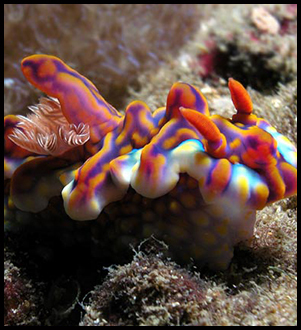 To IDENTIFY these species through invaluable support fromqualified authorities in this field and developing reference resources. To POST upon our web site not only images of the species and their natural history behaviour but also information concerning size abundance and localities. Additionally to disseminate to other sites information considered unusual. Towards achieving these aims we will continue to acquire and develop the necessary equipment, resources and knowledge. Have fun, learn and enjoy the Earth's greatest creatures! NOTE: From 2003 to 2018, content on this website was generated by Gary Cobb, David Mullins, with Terry Farr and Julie Schubert. From 2019, content has been generated by Gary Cobb. 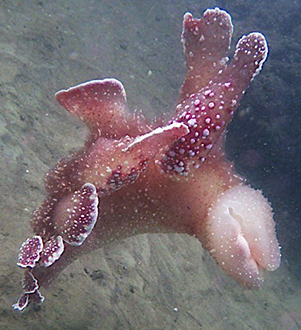 We embarked upon this adventure of ours while diving here on the Sunshine Coast, Queensland, Australia. 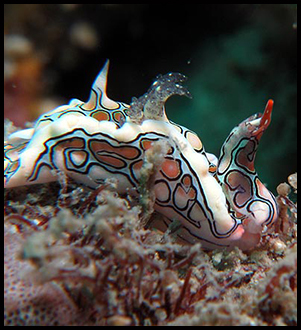 Upon realizing the amazing variety of nudibranchs we were seeing, we developed an appetite for not only finding as many different species as possible but identifying and learning all we could about these most amazing creatures of the sea. 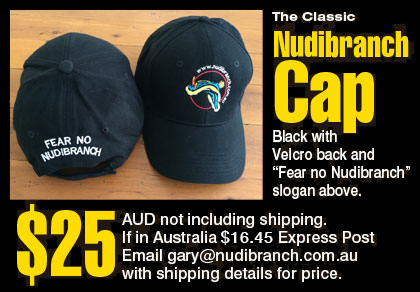 nudibranch.com.au was born when a friend of Gary’s suggested we share our knowledge with the world. 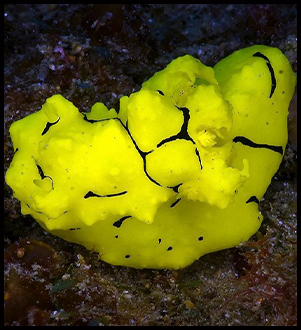 The site commenced in March 2003 when we set out on our quest to find, identify and record all of the nudibranchs here in our area. 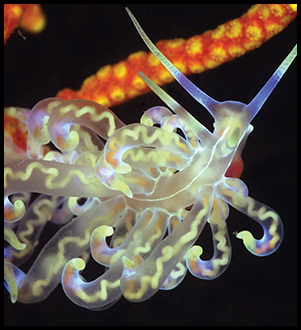 The ever changing sea and seasons give up new surprises every visit whether they are subtidal or intertidal. We describe our searching and identifying component of the quest as The Treasure Hunt, and the recording thereof upon the web site as The Never Ending Story. We welcome for inclusion on the site the findings of other workers in this area that we may not have yet recorded. 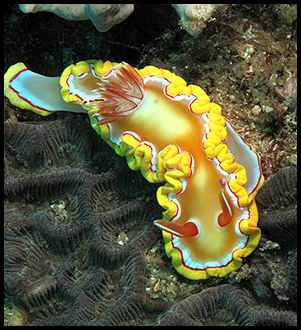 From this website a Nudibranch Identification book called Undersea Jewels - A Colour Guide to Nudibranchs was published in 2006. The book is a 'Colour Guide'. 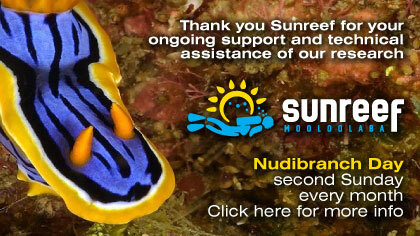 After all that is the first thing anyone remembers about first seeing a Nudibranch.